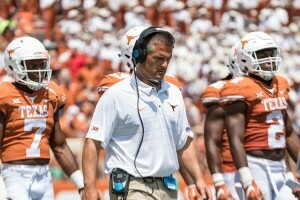 Texas head coach Tom Herman admitted Saturday that the offense won the scrimmage and that the defense allowed too many big plays in the run game. However Orlando, who rarely commented about the other side of the ball during his previous two seasons as defensive coordinator, couldn’t help but compliment several different offensive units and how much they challenge the defense day in and day out. Orlando had high praise for D’Shawn Jamison, who’s transitioning to cornerback after playing offense last season, but the challenges of developing at that position while facing multiple big, talented wideouts is real. Since the defense was the victim of several long runs during the April 6 scrimmage, Orlando also made sure to mention what the two young running backs have done during camp. “We had a little bit of discussion beforehand, and I don’t want to steal Tim’s thunder, but our two running backs have been outstanding all camp,” Orlando said. Not only has sophomore Keaontay Ingram added almost 15 pounds of muscle since the Longhorns left New Orleans, he’s become the primary running back for the Texas offense. In addition, freshman and fellow RB Jordan Whittington has drawn high praise from players and coaches alike. And the entire offense has been under the control of incumbent starter Sam Ehlinger. 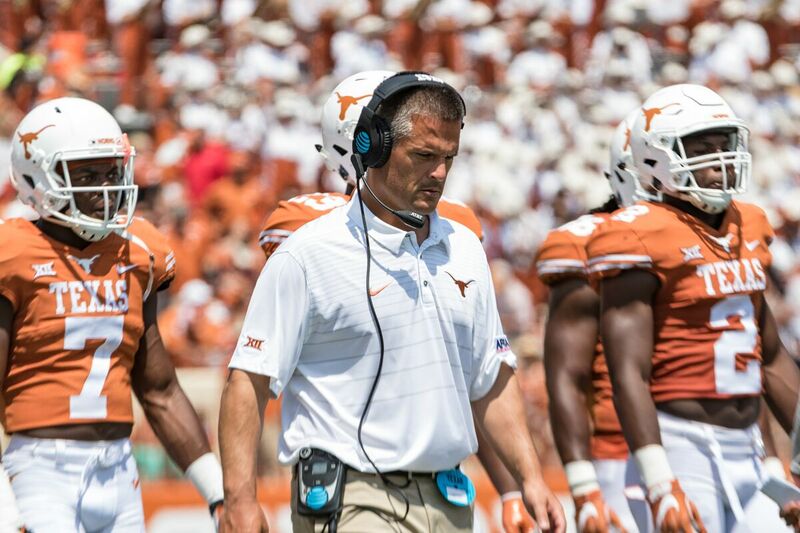 In the 2018 class, Texas brought in one of the highest-rated defensive back classes in the modern recruiting era. The 2019 class’s wide receiver grouping wasn’t as highly-rated, but still brought in some of the best talent in the country at the position. In that matchup of talent, Orlando sees what Herman and Beck could be able to do on the offensive side of the ball this year. “We’re getting to that point where we’re dynamic,” Orlando said. For Todd Orlando, that’s as high a compliment as an offense can receive.